Randolph (Randy) Redpath | Retired Attorney | Ott Cone & Redpath, P.A. Randy, now retired, worked with some of the nation’s leading healthcare systems and hospitals to increase reimbursement and decrease bad debt. His clients appreciated his ability to identify the legal and business issues affecting their financial situation. He was known for his straightforward approach which optimized results and his ability to assist in executing the appropriate strategies to obtain the greatest return on investment. He represented hospitals and other medical providers for over 30 years and has been recognized as one of “The Best Lawyers in America” by the U.S. News & World Report and Woodward/White. 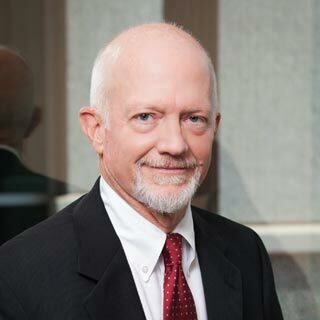 He served as Chair of the Health Law Section of the North Carolina Bar Association from 1992-1993. He received his Master’s in Health Administration from Duke University before going to law school. While serving in the U.S. Navy as a Medical Services Corps Officer, he managed outpatient clinics and acted as Assistant Chief Financial Officer. He continued to serve in the U.S. Naval Reserves and retired as a Captain. The University of Kansas, B.A.